It's crazy gorgeous here. Everything is green and warm and alive--just in time for Easter. I love this time of year with new life for all. To celebrate I've got an easy floral Distress Oxide Ink background for all your Spring time cards. The technique is simple. I pulled out a piece of watercolor paper and with the pad of Distress Broken China face down, I wiped ink all over the paper. Using a baby wipe, I made sure I had full coverage of ink on the paper. I added a few splatters and dried it for fun. When it was all the way dry I stamped with one of my Doodle Blossoms Stamps in Versa Mark ink and embossed it with Ranger White Embossing Powder. For this technique you need an open stamp, because then you "paint" it with water and lift up some of the color. I let the water dry, and then I colored the flowers with a Pitt Big Brush white marker. After everything was dry, I watercolored Distress Oxide Ink inside some of the flowers. Here's a process video with all the juicy details. All that was left to do was to turn them into cards. 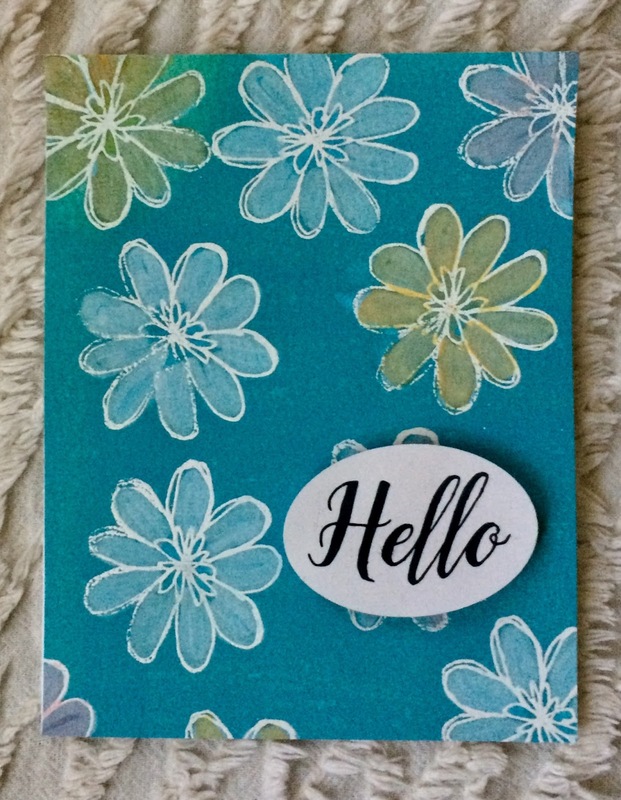 My Calligraphy Hello Stamp was the perfect happy finish to this card. Here is another card with a completely different color palette. It uses a different stamp from my Doodle Blossoms Stamp set. Notice that it's an open flower, too. The sentiment is from my Blessings Stamp set. Here are a few pieces of leftovers that I turned into cards as well. This gives you such a wow background, I hope you try it and use those Doodles Blossom Stamp Sets. They rock this technique.